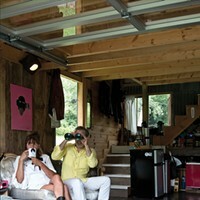 The three-bedroom home sits on close to six acres and includes a barn. Diani first discovered the property online while living on the West Coast. The couple promptly flew cross-country to see it in person. 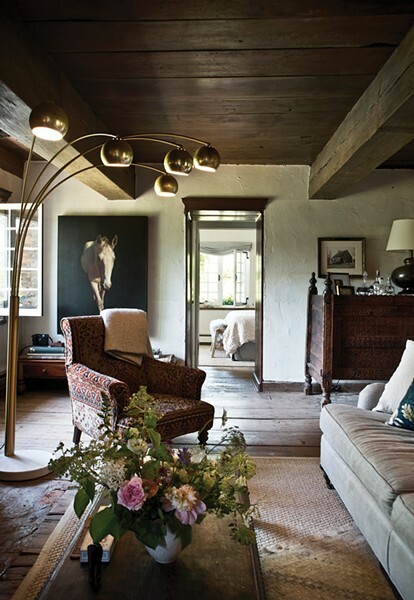 Actor and writer Jeffrey Doornbos is standing in the living room of the 18th-century stone house he shares with his wife, clothing and home retailer and interior designer Caroline Diani. Under his feet, ancient wide-plank chestnut floorboards stretch throughout the entire main floor, skirting a brick fireplace blackened from centuries of usage and large enough to prop up a spit for roasting small game. Venetian plaster walls, punctuated by small, deep-set, chestnut-framed windows illuminate the cozy sitting area and offer views to the surrounding six acres of gardens, fields, and barn. Above, hand-hewn beams and a wood ceiling resemble the rich toffee brown hues of the chestnut floor and suggest the entire parlor was carved from the same tree—or stand of trees—gracing the property three centuries ago. 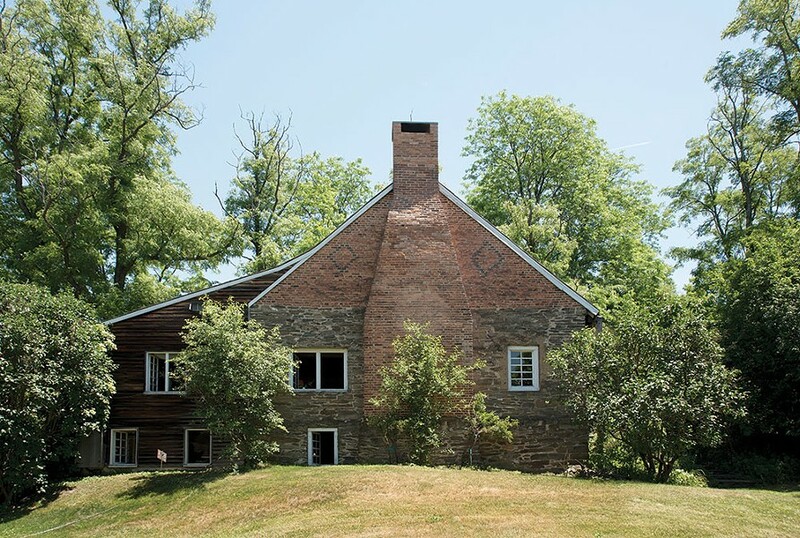 In the two years since Diani and Doornbos bought their 1752 stone house, multiple experts have come through, weighing in on the restoration of the landmark property, offering advice, history lessons, and a welcome to the couple's new neighborhood on the east bank of the Hudson River. something to build with it." This sort of historic tidbit is indicative of the new, old world Doornbos and Diani are uncovering as they undertake the "slow remodel" of their three-bedroom, three-bath home. "It's been like peeling an onion," Doornbos explains. 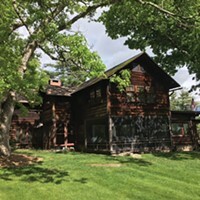 Built by German Palatine immigrants for English settlers in the Dutch style, the home was one of the earliest European homesteads in the colony. Their time on the East Coast, and the opportunity to honor and preserve the home's history while updating it for comfort, has provided both husband and wife with the opportunity for some personal remodeling as well, and the beginning of a new creative chapter in each of their lives. 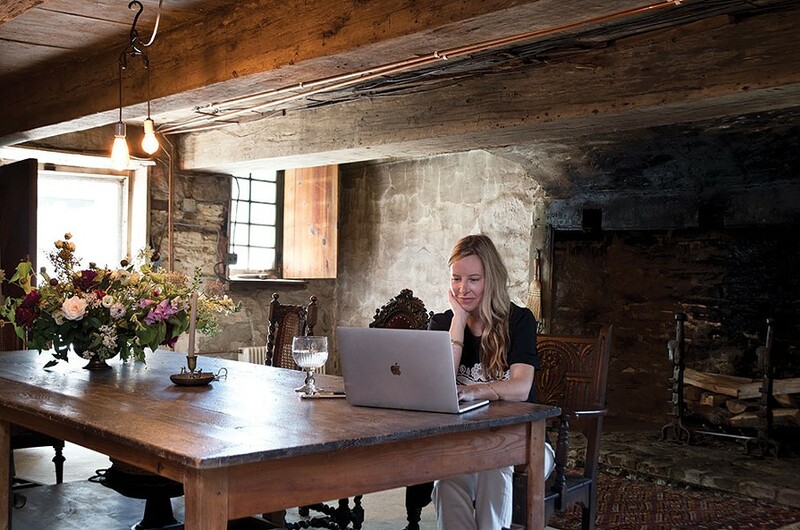 Designer Caroline Diani in the dining room of her 18th-century stone house. Refurbishing the historic property has stoked her creative fire. Here she’s surrounded a French draper’s table with antique chairs, all from the 19th century; the fireplace features 17th-century French andirons. 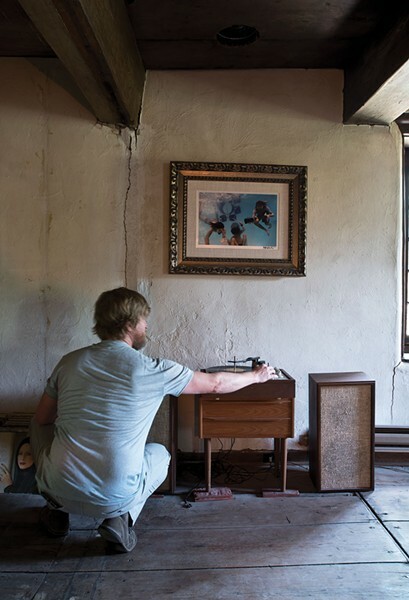 Jeffrey Doornbos with a vintage record player, owned by the home’s previous occupant and then bought back by the couple from a local antique store. The term "windfall" is apt. It well describes how Diani and Doornbos found their way from California to their new passion project, and the area they are falling for much more quickly than was expected. An English native, Diani has been living in Santa Barbara since 1999, when she took a gamble on a historic storefront and turned it into a row of successful clothing, shoe, and now home decor boutiques, and her thriving business, DIANI Living. This was no small feat in a town where real estate prices are some of the highest in the country and storefront businesses burn out almost as quickly as the hillsides. But by 2015, Diani was ready for a new creative challenge. "I came to a point where I asked myself, do I really want the next decade to look just like the last one?" She was already spending large amounts of time in New York City on buying trips, and became curious about the general vicinity. Doornbos had a similar longing to go East. A Michigan native, he'd lived in New York City for 15 years where he attended acting school and became one of the original cast members of the Blue Man Group. Los Angeles, and the chance to be a part of the film industry, had called to him and he relocated to the West Coast where he eventually met and married Diani and moved into their home in the Santa Barbara hills. While both love Santa Barbara, and are grateful to the community and the opportunity to build thriving careers in the area, they simultaneously began longing for a return to their roots. "We missed the seasons," Diani explains. "And I wanted to be somewhere more like my native England." Doornbos agreed, explaining, "we had this run of 103-degree days—it was like it would never stop."